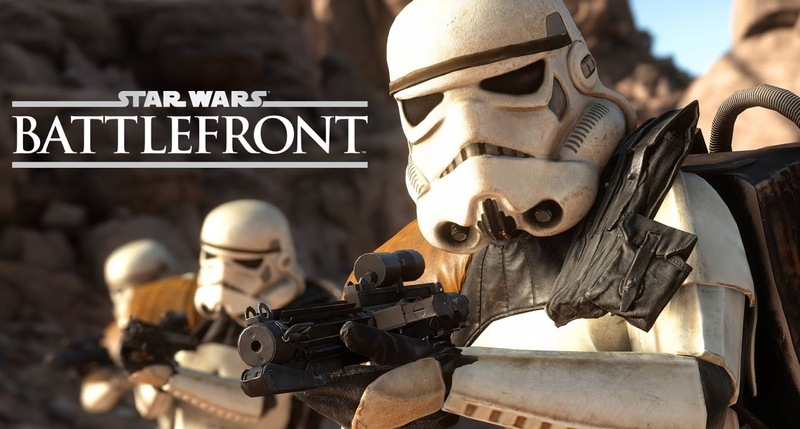 Since it's release back in November of 2015, Star Wars Battlefront has been incredibly popular among fans but still drew more than it's far share of criticism. Many players expressed disappointment that the game lacked a single-player mode that can could be played offline. For months now the game has been strictly multiplayer, but next week that all changes. EA has announced that beginning July 20th players will have the option to participate in single-player or split screen co-op in a new mission titled "Skirmish". In Skirmish, which is only for consoles, you can play by yourself or with a friend against bots in either Walker Assault or Fighter Squadron modes on an assortment of planets. They also confirm that the Death Star expansion is coming in September for season pass holders. In addition, they tease more upcoming maps, weapons, star cards and two new hero characters, one of which is described "larger-than-life". Could Chewbacca finally be making his Battlefront debut? With Star Wars Celebration Europe kicking off tomorrow, we will surely learn more about Battlefront and other games later this week. The EA Star Wars panel is set to take place on Saturday at 7:00 p.m. BST / 2:00 p.m. EDT on the Celebration stage and will be streamed live on the Star Wars YouTube channel. In the EA article, only coop split-screen is exclusive to consoles. Skirmish itself will be on all platforms. So... it's the same $%&*%$ game? Still no story, still no campaign, still no ability to at least have a character to create and upgrade? %*$$% this game. I bought the deluxe at launch and after you get past the shiny surface this game is empty. Will never buy another.